A Waynesboro native, Aaron has a world class pedigree. 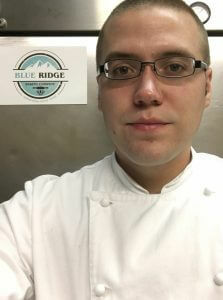 While obtaining a Bachelor’s in Hospitality Management with a focus on the culinary arts from The Art Institute in the Washington, D.C. area, Aaron perfected his kitchen skills at The Inn at Little Wahington (Michelin 4Star in Washington, VA). 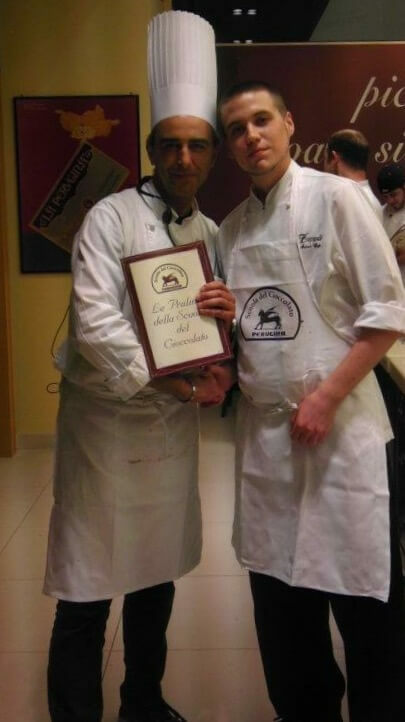 HIs degree included an overseas position at a similarly positioned fine dining restaurant in Spain where he picked up a Chocolatier Certificate. He rounded out his fine dining career at L’Auberge Provencale in Boyce, VA before returning here to his mountain valley roots. HIs degree included an overseas position at a similarly positioned fine dining restaurant in Spain where he picked up a Chocolatier Certificate. He rounded out his fine dining career at L’Auberge Provencale in Boyce, VA before returning here to his mountain valley roots. Aaron serves as ur Lead Baker and Director of Baking Operations. 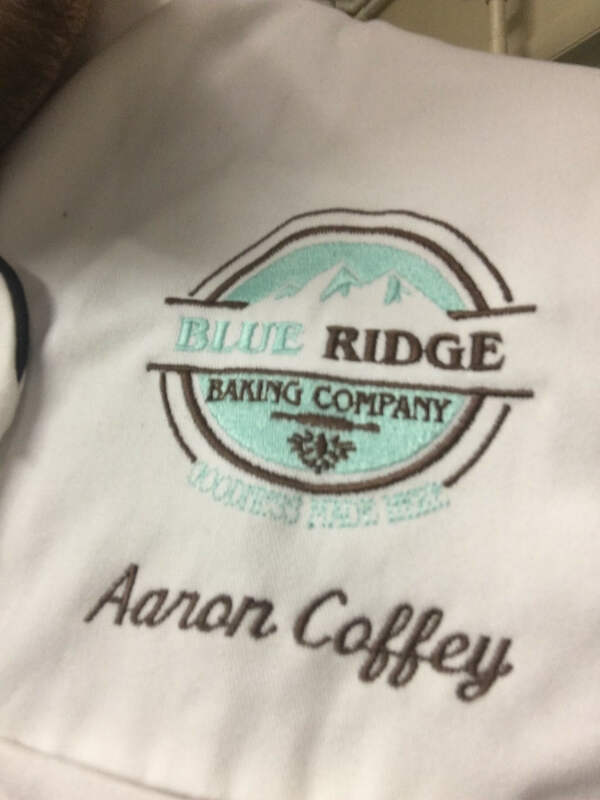 We’re still pinching ourselves when we see his name on the Blue Ridge Pastry Chef jacket. His creations in our specialty lines and his attention to detail combine with his ability to find the finenst local ingredients yielding, well, goodness.